Following Ireland’s superb wins in the UAE last week, the ‘Boys in Green’ have now moved six points clear in the race to secure automatic qualification for the 2015 ICC Cricket World Cup which will be hosted in Australia and New Zealand. Despite the current temperatures, ‘Spring’ is in the air as across Ireland the pads, gloves and bats are being dusted off as pre-season cricket training begins. 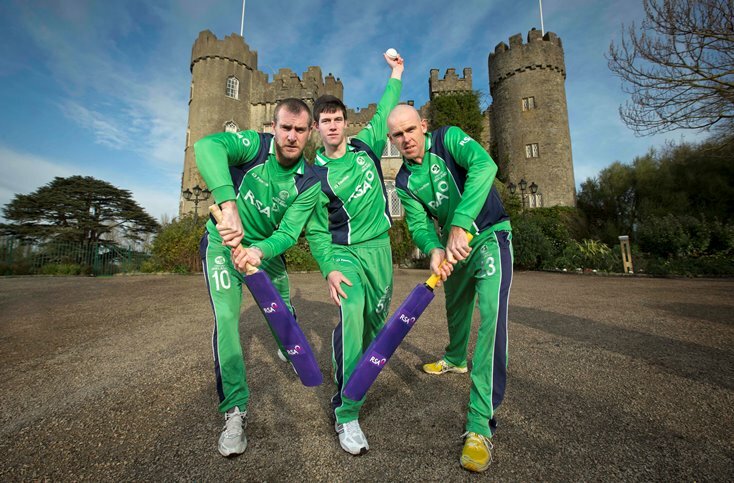 The 2013 home cricket calendar looks like being the most exciting one yet - the highlight of which is undoubtedly the visit of England to the new international ground in Malahide for the RSA Challenge on Tuesday September 3. The crunch encounter against our nearest cricketing neighbours is being billed as the biggest cricket match ever held in Ireland. Cricket Ireland is offering all cricket clubs across Ireland great value prices for this match. There are discounted rates at just €35 per Adult ticket, whilst Under 16’s tickets are only €12. A minimum order of 10 Adult tickets is needed to receive the discounted rate. Anybody wishing to make a club order should email ticketsales@cricketireland.ie or fill in the downloadable form here. The deadline for this club deal is May 31st.